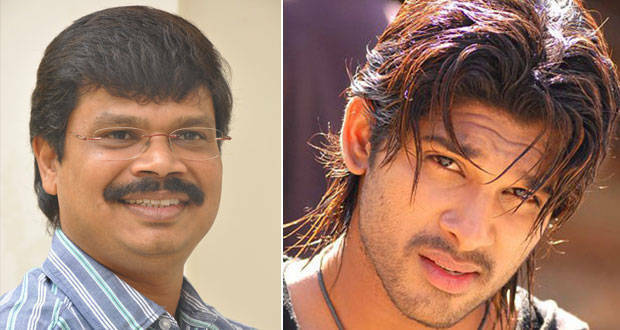 Boyapati Srinu is well known director, who was directed Legend Movie with starring BalaKrishna & Radhika Apte is now ready for the feature film going to direct Stylish Star Allu Arjun in his upcomming movie under Geetha Arts Banner. Here is the details of this movie: Movie is gonna be pure love story with commercial elements, and Boyapati Srinu says that Allu Arjun heroism elevation with love story mix will be as per the expectations of Allu Arjun fans. The Music Director Thaman SS will score music for this film and allu aravind will produce this film under geetha arts banner. Popular writer M Ratnam will be penning dialogues for the movie. Shooting of this Bunny-Boyapti flick will start from April, as per the information two heriones will romance allu arjun and final actress list will be updated soon..
more things to go on so be in touch for updates.